Our comfortable, secure and clean 24 ft welfare units meet HSE requirements. Offering a suitable and adequate environment for users. 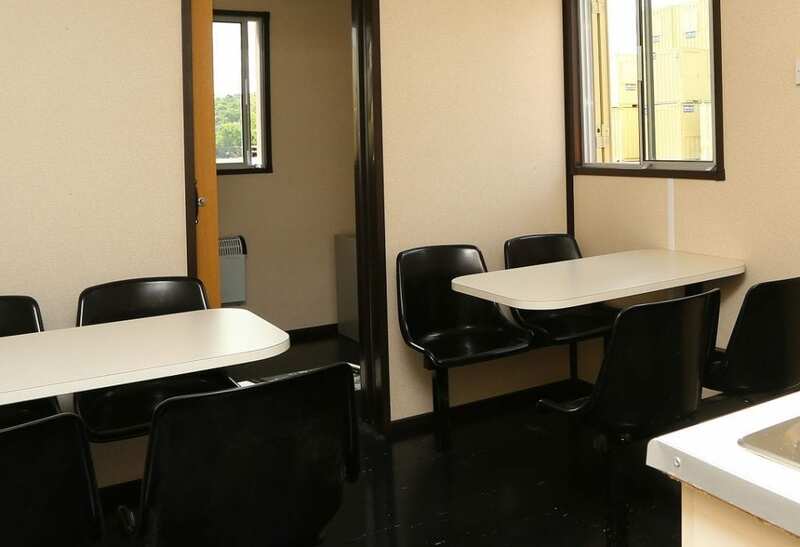 Self-contained units, complete with drying room for clothing and equipment, a canteen area and a chemical toilet. With a water and effluent tank powered by a generator, this welfare unit is a popular choice among our clients who require a work site solution. Ask us about our other fit outs which can be hired out for both short term and long-term solutions. Combine the welfare units to suit your requirements. Check with us regarding double stacking options.